One of the last bills outgoing Wisconsin Gov. Scott Walker (R) signed into law – which implemented voter identification restrictions – is now being challenged by two liberal groups. 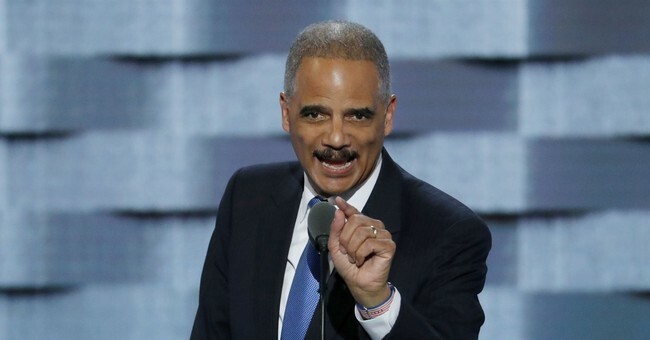 One Wisconsin Institute and Citizen Action of Wisconsin Education Fund are working closely with former Attorney General Eric Holder's group, the National Democratic Redistricting Foundation. The NDRF is providing the two groups with legal assistance, The Milwaukee Journal Sentinel reported. The two groups want to change the state's ID requirements in order to vote. They want to see temporary voting credentials be valid for 180 days, opposed to the law's 60 days. The liberal groups also want to allow students to use their student ID to vote, even if it's expired. The other point of contention the liberal groups have is the length of time designated for early voting. The bill signed into law limits early voting to the 13 days prior to the election. In the past, there was no set timeframe. Local government was able to determine how long they allowed early voting to take place. And, in Democratic strongholds like Milwaukee and Madison, people had six weeks to vote prior to Election Day. We will sue to stop Wisconsin Republicans from undermining our democracy. The bill that was signed into law was part of Gov. Walker's attempt at limiting the amount of power incoming-Gov. Tony Evers (D) will have once he takes office.